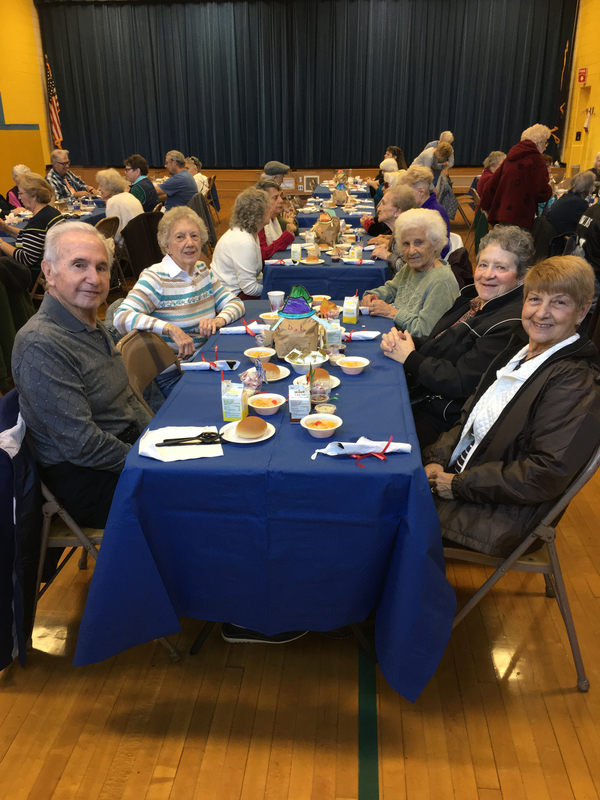 For more than 20 years, Conshohocken Elementary (CE) School has hosted local senior citizens for a Thanksgiving luncheon that features a free turkey dinner with all the fixings and a concert. "You see the kids, and they put on a show for us," said Shirley O'Donnell who walked over from Marshall W. Lee Towers, a block away on Fayette Street. "It's nice." The CE students had been preparing for the event for several days. The kindergarteners created centerpieces. The Helping Hands club made favors filled with candy for each place setting. The third grade choir performed at the luncheon, and Mrs. Berman's third grade students donned aprons and served as waiters and waitresses. "I get to help the older people," said Elijah Parker, who was one of the waiters. "I've been waiting for this since Mrs. Berman told me about this," added Alyssa D'Orazio. "I was excited, because we get to serve." Conshohocken Elementary School's Head Cook Donna Koletas and her assistant Mia Williams came in early to prepare the extra turkey, stuffing, mashed potatoes and other sides. Lori McCoy, Colonial School District Director of Food Services, and Sara Fries, Food Services Secretary, joined the team for the day to help. The children took drink orders and delivered plates of food to the tables. "You're helping other people," said third grader Isabelle Jackson. "It makes you feel good." CE distributes 80 tickets to the event and promotes it in the neighborhood through flyers at Lee Towers, the Colonial Neighborhood Council and the Conshohocken Community Center at the Fellowship House.